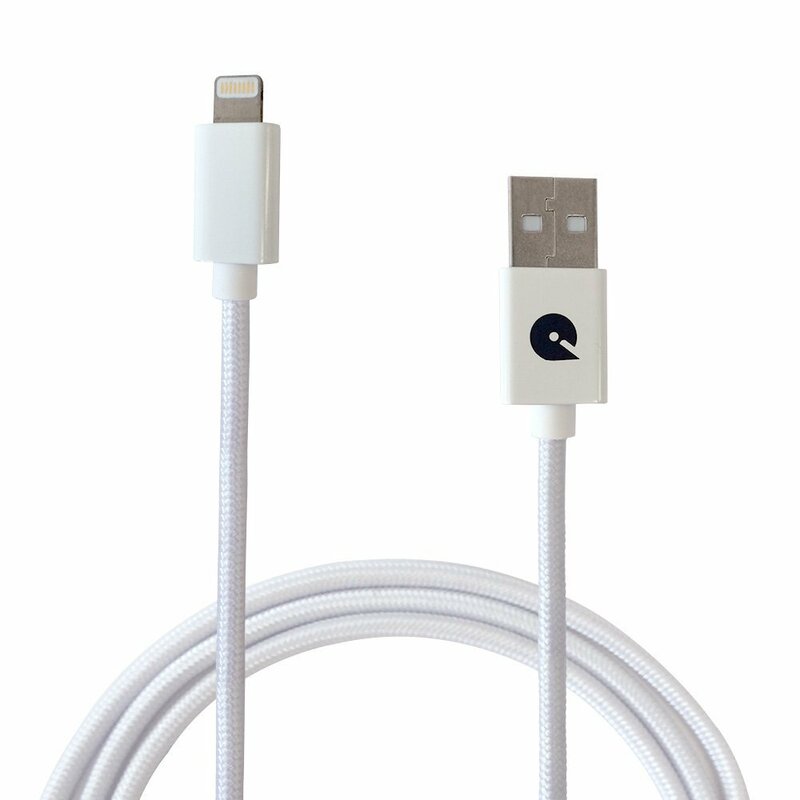 Charge or sync your iphone 6, 6+, 5s, 5c, 5, ipad 4, ipad mini ipod 5 and ipod 7 with this 2 meter officially certified lightning to usb 2.0 cable. You can also use this cable with a usb power adapter (not included) for fast charging. Our cable is officially certified under the apple mfi licensing programme ensuring the quality of the construction and only official components are used. Are you tired of cables that keep failing after a few weeks/months? this will not happen with this cable as only official components are used in it's construction. Further we have also used reinforced braided nylon to strengthen the cable to ensure strength and longevity. 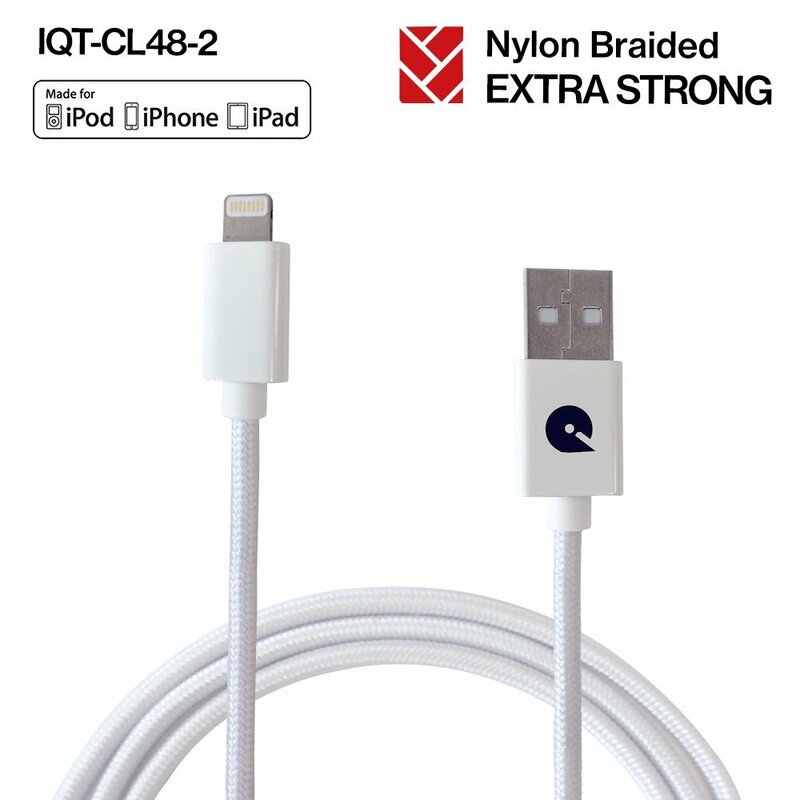 this item is exclusive to iqualtech it is authorised by apple and certified by mfi. Mfi-made for iphone ,made for ipod and made for ipad mean that an electronic accessory has been designed to connect specially to ipod, iphone or ipad, respectively,and has been certified by the developer to meet apple performance standards. ipad, iphone, ipod, ipod nano, and ipod touch are trademarks of apple inc, registered in the u.s. And other countries. 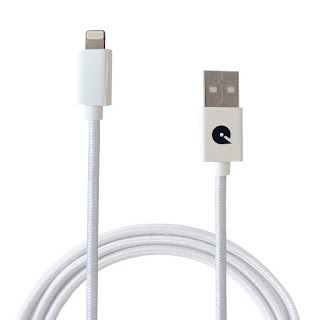 Lightning is a trademark of apple inc.
Having a family who is always looking for a phone charging cable, I was happy to get this 2-Meter Lightning Cable from iqualtech. This one is especially nice because it is over 6 feet long! I find this to be a great quality because it can be plugged in a hard to reach area and still have room to use if necessary. I really like the braided nylon covering over the cable. I makes it stronger and keeps it from tangling in my bag when I am on the go. I like that it can be used on all my apple devices. I like that it is certified and a brand I can trust with my expensive devices. I think this would make a nice gift for anyone with a compatible device.